Daniel P Carter heads backstage with Slipknot on their first UK tour in six years to find out what goes into the making of a Slipknot show and how the band remains relevant. Slipknot, one of the most prolific and brutal metal bands out there, are back. The masked 9-piece heavy metal band from Des Moines, IOWA first descended on the UK in 1999 when they released their debut self-titled album. 16 years and five album releases later they're now a multi-platinum, grammy-award winning band, renowned for their chaotic live shows. Daniel P Carter gains exclusive access to the band backstage at the final show of their first UK tour in six years. 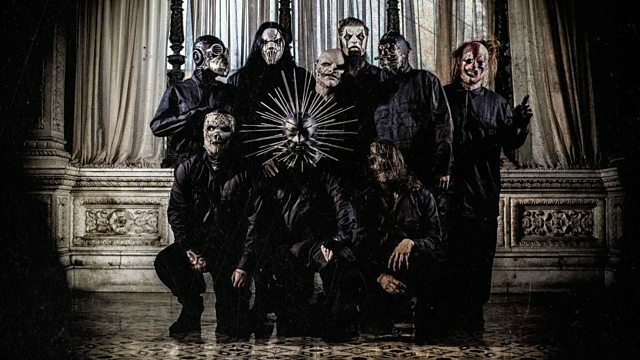 Here he catches up with band members Corey Taylor, Shawn Crahan and Jim Root about their long awaited return to the UK following the death of founding member Paul Gray and the departure of drummer Joey Jordison. Dan finds out what goes into the making of a Slipknot show and hears from fans excited to witness Slipknot live, after years of anticipation. Also features interviews with Architects, Bullet For My Valentine, Enter Shikari, KORN, Modestep, The One Hundred, While She Sleeps and Young Guns.